John Hardman Lister (JHL, the author's great-great-grandfather) was born in or near Scarborough, Yorkshire, on 21 August 1803. 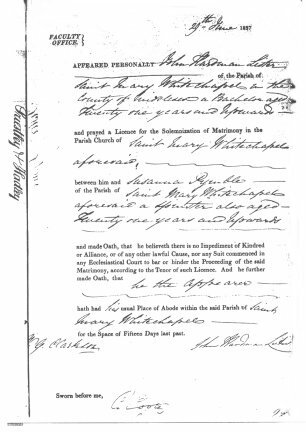 On 30 June 1827, in St. Mary's, Whitechapel, in London, he married Susanna (or Susannah or Susan) Pymble of Hentland (near Ross-on-Wye, Herefordshire). How or where they met, we do not know, though there seems to have been an ongoing friendship between the two families. JHL died in a road accident in the vicinity of Bathurst, New South Wales, on 12 July 1850, a few weeks short of his 47th birthday (though his headstone claims he was 48). 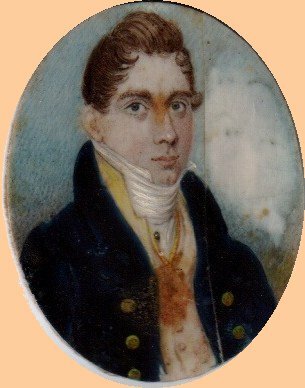 JHL was the son of John Hardman Lister (20 Aug 1781-1810), ship owner of Scarborough, Yorks. and Elizabeth Waterworth who m. 27 July 1802 at Whitby. His mother died when he was about four years of age and his father and grandfather when he was six. In the meantime, his father had remarried, so he was brought up by his stepmother and/or his widowed grandmother, Rebecca Hardman Lister. John Hardman Lister Senior, who died at the age of 28, was the son of Richard Humpton Lister (1751-c. 1811), lawyer of Scarborough, and Rebecca Hardman. Richard Humpton Lister was the son of James Lister (1732-1814), lawyer of Snainton (about 15 km W of Scarborough) and East Ayton, and Dorothy Humpton. James Lister was the son of Mathew Lister of Malton, York and Heigholme Hall, Leven (about 11 km NE of Beverley), grocer, merchant, admitted to Freedom of the City of York by patrimony, 1732/33, alderman in 1749 and Lord Mayor in 1750, m. Frances Mannel. Mathew Lister was the son of William Lister of York, grocer and merchant, admitted to the Freedom of the City of York by patrimony in 1697/98 and elected Sheriff (the second most important civic post) in 1711. William Lister was the son of Christopher Lister of York, mercer, admitted to the Freedom of the City of York, 1652/53, during Cromwell's interregnum (York had been largely spared the ill effects of the Civil War in which 10% of Englishmen had died and was at that time the second city in England - and certainly the most important in the north of the country). These forebears are treated in greater detail on a specific Lister/Humpton/Hardman page. In any case, JHL subsequently became a very competent Master Mariner himself. 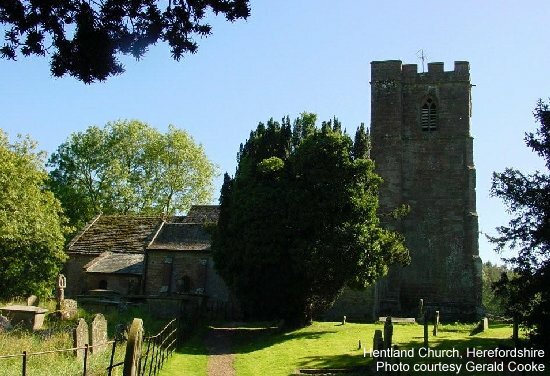 JHL's and Susan's first child was born in Hentland, Herefordshire, on 12 May 1828. He was christened John Hardman Australia Lister Junior. The name "Australia" is reputed to have been added as a mark of Captain Lister's respect for the maritime achievements of Matthew Flinders, who in 1801-1803 had circumnavigated Australia in an open boat and had popularised the name "Australia" (formerly "Terra Australis" or even "New Holland"). During February 1830, Lister took command of the 340-ton barque Wave. The Wave was a single-decked vessel built in 1826 of blackbirch, hatchmatack and pine, and sheathed with copper; she carried four guns. She was owned by a Mr Johnson and this was her third London-Sydney run. On her first voyage, she left London on 6th May 1828 and arrived in Sydney via Hobart Town on 2 December 1828. Her second voyage was in 1829, to deliver a detachment of troops of the 63rd Regiment to Van Diemen's Land (as Tasmania was called until 1856), under Captain Hide. The Wave, carrying "general merchandise", left London on 17 February 1830 for Hobart and Sydney via Table Bay (whence they departed on 14 May). Lister's wife and young son travelled on board as cabin passengers. Susan Lister was expecting her second child. According to an oft-repeated story, a 14-year-old cabin boy named Edward Hammond Hargraves assisted in entertaining young John Lister Junior, this acquaintance having dramatic consequences 21 years later at Guyong during the search for payable gold in New South Wales. The Wave arrived in Hobart Town, Tasmania, on 25 June 1830 (Susan's first visit to Australia). Here her second child, Sarah Susannah, was born on 15 July. Arrived yesterday, the 25th instant, the bark Wave, Captain Lister, with goods, from London 16th Feb. Passengers per Wave, - Captain Watson, Mr Robt. Watson, Mr. Thomas Watson and Dr. Spence, on his return from Madras. Mr. Menzies, Mr. Kerk, Mr. Haywood, Mr. Shelvesson, Mr. and Mrs. Sullivan and child, Mr. and Mrs. Lazarus and child, Mr. Roberts. Among the goods brought out by the Wave for the Van Diemen's Land Company, we have much pleasure in observing a very excellent assorment [sic] of fruit trees of all kinds. Capt. Lister must have taken unwearied pains in attending to them during the voyage, as almost every one is alive with the exception of the strawberry and raspberry bushes which have entirely perished. We regret however to see that the whole of the apple trees are covered with American blight, the insect being already matured and prepared to fly the moment the box is opened. Though this proves that the insect must have been in the ground or round the roots in the first instance, it evidently shews that the close atmosphere which it enjoyed in the pent up boxes, is peculiarly favourable to its propagation. And thus we see that those gardens which are in the lowest and most confined situations, and but little exposed to winds are most attacked by it. 300 doz. double brown Stout in tierces of 3 doz. each. Elizabeth street, July 1, 1830. JUST imported per Wave, 100 casks very superior bottled ALE, and 50 hogsheads of Taylors Double BROWN STOUT. The fast-sailing first-class Ship, Wave, J. H. Lister, Commander, Burthen per Register, 340 tons, is now on the point of sailing for Sydney, and will return immediately to load for the above Port. This Vessel having already taken on Board Sixty Tons of Oil, for dead weight, will be despatched, on her return from Sydney, with the least possible delay. The Wave possesses very superior accommodation for Passengers. Liberal advances will be made to shippers of produce, and wool intended for the Wave, will be warehoused free of expense. When the baby was two weeks old, the Listers departed Hobart (1 August) for Sydney, where they arrived on 7 August 1830. According to the Arrivals Report in Sydney, in addition to the Lister family there were eight passengers and one child in cabin class and five passengers in steerage. The cargo on this stretch, including "part of the original cargo", consisted of "Goods/Potatoes, oil, Colonial beer, apples, 1 case of charts, 1 case of pictures etc." There were 17 passengers and an agent, and the crew was made up of 18 men. The Arrivals Report shows Mrs Lister with one son over 12 years of age [sic!] and one daughter under 12 years of age. [Except where the captain himself made a declaration, the manifests do not seem to be very reliable.] 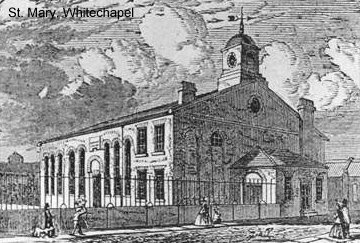 Susannah Sarah was baptised twice: the first time at St Philip's Sydney and the second time at St Mary's Whitechapel, London where her parents had been married. FOR LONDON, VIA HOBART TOWN. TO SAIL, next Month, the principal part of her Cargo engaged at Hobart Town, the fast-sailing Barque WAVE, 320 Tons Register, LISTER, Master. For Freight or Passage, apply to the Master, on board ; or, to CAMPBELL & CO. Vessels cleared from the 13th to the 20th September, inclusive. WAVE (barque), Lister, master, for Hobart Town and London - shipped at Hobart Town for London, 4 cases pipe lead, 1 cask pump heads, 1 cask nails, 46 casks black oil, 8 casks tan, 4 casks pitch. Shipped at Sydney for London - 2 casks cocoa nut oil, 102 bales wool, 2 boxes shells, 2 cases, 2 boxes specimens of natural history, 1 box haberdashery, 1 case charts. Shipped at Sydney for Hobart Town - 222 pieces cedar, 6 pieces mountain ash, 2 cases containing a pulpit, 1 cask 2 cases, and 15cwt. cheese, 1 cask fishing lines, 2 bundles clothes lines, 1 box containing 1 bottle oil of peppermint, 16 coils cordage, 9 cases, 1 box oranges, 1 case haberdashery, 2 coils spun yarn, 1 tool chest, 150 bushels corn, 15cwt. bacon. So after spending a month in Sydney, they set out again for Hobart on 19 September, carrying "general goods for London and Hobart Town, 8 passengers, Williams family etc." They arrived in Hobart on 30 September. Arrived on Thursday the 30th ultimo, the bark Wave, 340 tons, J. H. Lister commander, from Sydney 19th Sept. with a general cargo of goods: Passengers, Mr. and Mrs. Williams and 3 children, Mr. White, Mr. Kayll, Mr. Roberts, Mr. Tulloch, Mr. Compton, and Mrs. Williams's servant. This vessel posesses the most excellent accommodation for pas[s]engers, and having already on board above 100 bales wool, and 200 tons oil engaged, her stay in the Derwent will not exceed the above named period. For freight or passage apply to the commander on board or to the undersigned, who will make libera[l] advances on wool intended for shipment in the Wave, and warehouse the same free of expense. Hobart town, Nov. 28, 1830. THE Mail for England, per Wave, Capt. Lister, will be closed on Saturday the 11th Dec. next, at 8 o'clock precisely. Hobart town, Dec. 16, 1830. THE Mail for England, per Wave, Capt. Lister will be closed on Tuesday the 28th inst, at 8 o'clock precisely. Sailed on Tuesday the 4th instant [at last! ], the barque Wave, Capt. J Lister, with a cargo of colonial produce for London, viz. - bales wool, 449 bundles whalebone, 439 casks oil, and 7 cases curiosities. Passengers - Stewart, Mrs. Beamont, Mrs. Lister and two children, and Mr. J. Williams, Mr. B. Goodman. 113 bales Wool, by H. Hopkins. 44 do. do. and 69 bundles whalebone, W. M. Orr. 59 do. do. and 1 case curiosities S. Adey. 5 bales wool, F. Harrison. 287 casks whale oil, and 321 bundles whalebone, W. Mawle. 8 bales wool, W. Bunster. 105 casks oil, and 1 case curiosities, J. Lightfoot. 1 case books, H. Melville. 1 do. veils, J. Haskell. Shipped for [= on behalf of?] Sydney - 102 bales wool by Mr. Thompson. 90 casks oil and 4 cases sundries Capt. J. Lister. In their fast-sailing vessel, they arrived in London in June 1831. On 13 October 1831, the Wave with JHL as Captain, set off again carrying "merchandise", arriving in Hobart 20 February 1832. This time there is no mention of Mrs Lister and indeed it seems likely that Susannah was not present on this journey: Mr Fowles says she had "been round the world three times" before his voyage, and this would have made a fourth. The Wave, Lister master, may be daily looked for, having left London with merchandise, for Sydney direct, on the 13th October last. Arrived on Monday the 20th instant, the bark Wave, Capt. Lister, from the Downs, 16th October, with a general cargo of goods. Passengers, - Mr. Chapman, Mr. Lightfoot, Mr. Cenlis, Messrs. P. Johnson, Edward Sinnot, Mutton, Davies, Atkinson, Mr. & Mrs. Webb, Mr. & Mrs. Parker, Mr. and Mrs. Tutton, Mr. and Mrs. Speed ; and for Sydney, Mr. and Mrs. Maycock, Mr. Armstrong and child, Mr. Brewer and 2 New Zealanders. From London, via Hobart Town, on Tuesday last, the barque Wave, Captain Lister. Lading, merchandise. Passengers, Mr. M'Kenzie, Mr. Stephenson, Mr. and Mrs. Haylock, Mr. Brewer, Mr. Lazarus, Mrs. Boyce and child, Mr. and Mrs. Ryley, Mr. James Lloyd, Mr. John Gofton, Mr. and Mrs. Parker, Mr. Sinnott, Mr. John Monday, Alphonso Alkali, Harry Hayti, Thomas Hagan, and William Wade, a prisoner from India. The barque WAVE, 400 tons, Captain Lister. For Freight or Passage, apply to the Master on board ; or to CAMPBELL AND CO. COMPILED FOR THE SYDNEY GAZETTE, AND PUBLISHED UNDER THE AUTHORITY OF THE CUSTOMS. ----- 3. ---WAVE (barque), 340 tons. Lister master, from London via Hobart Town ; Campbell & Co. agents ; 50 hhds. beer, Richard Jones & Co. ; 6 cans tanners waste, George Bunn ; 19 puncheons rum, Campbell & Co.; 11 casks glassware, A. B. Spark ; 30 casks corks, C. & F. Wilson ; 1 case books and apparel, 4 bales cottons, 6 bales slops, 1 case whips, 1 case leather, 3 casks beer, J. B. Montefiore & Co. ; 42 casks beer, 5 casks cider, 10 casks wine, 1 hhd. gin, 1 hhd. brandy, 11 cases mustard and pickles, 12 casks glass, 1 case shoes, 6 casks, 2 cases earthenware, 1 case stationery, 1 case haberdashery, 5 cases lamp cotton, 22 barrels painters colours, 10 casks oilmans' stores, 17 casks blacking, 15 casks Bath bricks, 34 barrels whitning, J. H. Lister; 1 case apparel, P. M. Hosking ; 1 case apparel, 1 case hats, 1 case candlewick, 14 tons iron, 6 barrels rosin, 20 bundles oakum, 21 cases Tobacco pipes, 18 barrels currants, Order ; shipped at Hobart Town ; 1 cask, 1 case apothecary, J. Macnaughtan ; 2 bales carpeting, 2 tons potatoes, Lamb & Co. ; 1 cask apples, F. Watkin ; 1 bale slops, 1 case haberdashery, J. B. Montefiore & Co. ; 1 cask copperas, 6 cans oil of vitriol, Smith Brothers ; 5 bundles kangaroo skins, T. Brett ; 2 bales slops, 1 case books, 1 case looking-glass, 4 cases ironmongery, 2 cases household furniture, 1 filterer, 1 case jewellery, 8 bundles kangaroo skins, 47 bags wheat, Order. It is interesting to note that the captain did a certain amount of trading on his own account as well as offering transport services. On the return journey, the ship left Sydney on 20 April 1832 for Hobart and London, with the usual delays for the assembling of cargo. THE fine fast sailing bark Wave, 340 tons, J. H. Lister, commander, having 200 tons of bark engaged, will, on her return from Sydney, load with all possible dispatch for the above port. This vessel is expected to arrive within 14 days from this date, and possesses very excellent accommodation for passengers. THE fine first class bark Wave, J. H. Lister, Commander, burthen per register 360 tons, will positively sail on the 20th instant. GENERAL POST OFFICE, Hobart town. July 5, 1832. THE Mail for England per Wave, Capt. Lister, will be closed on Saturday 28th inst. J. T. Collicott, Principal Postmaster. AUGUST 2. -- Sailed, the barque Wave, Captain J. W. Lister, for London, with 428 bales wool, 110 tons bark, 102 bales New Zealand flax, 80 planks blue gum, sundry packages, whalebone, curiosities, skins, British and Foreign goods, shipped by Messrs. Kemp & Co., Hewitt & Co., George Watson, Montefiore & Co., Henry Hopkins, Wm. Bunster, S. Adey, Murdoch Brothers, C. Seal, J. T. Gellibrand, W. M. Orr, A. & T. Betts, G. C. Clark, P. Harrison, E. Hodgson, G. Garehouse, Captain Lister, J. Makepeace, J. Sprent, J. Reed, J. Brown, J. Clark, J. Brown, W. Hall, J. Gow, and J. Backhouse. -- Passengers, F. Arthur, Esq. and servant ; Mr. and Mrs. Betts, and three servants ; Mr. Smith ; Dr. Stephenson ; Mr. and Mrs. Earle, and child ; Mr. J. Carter; Mr. Skilverston, and Mr. Lightfoot. The Wave stayed in Hobart, then, from 27 April till 2 August 1832, arriving back in London 21 Jan 1833 via Rio de Janeiro. VESSELS SPOKEN WITH: ... The Wave, from Van Dieman's Land to London, the 4th instant lat. 42 [or it could be 12] long 25, by the Elizabeth arrived at Plymouth. PENZANCE, Jan 21. Arrived the Wave from Van Dieman's Land, sailed the 11th of August and from Rio de Janeiro the 29th of October. Family lore has it that upon his return from one such long absence, a maid attempted to reintroduce JHL to one of his children. He is said to have brushed the maid aside, saying: "Never mind the child. Where is my beloved Susannah?" The Listers spent 1833-34 in the UK (or if they were travelling, we have not yet discovered where). Elizabeth Lister (their third child) was born in 1833. Elizabeth always told her family she was born in Hoarwithy [51°57'40"N, 2°39'43"W] and that is entered on her daughter Nell's birth certificate. From 1834, the Captain commenced a regular run between England and the colony as Master of the barque Fortune, "311 86/94" tons, built by Sam Finch in 1825 in the Port of Quebec (her home port was Glasgow). She was 99 feet long, 27 feet wide and 18 feet deep to the underside of the deck (30.2m x 8.2m x 5.5m) and carried two guns. VESSELS CLEARED OUTWARD WITH CARGO ... the Fortune, to Sidney. The Listers left London on 22 November 1834 and arrived in Sydney on 28 March 1835: Mrs Lister is recorded as a cabin passenger but there is no mention of her children. It is interesting that JHL completed a questionnaire on arrival which may be viewed in the Record of Vessels Arrived at the Archives Office of NSW, Globe St., The Rocks. He states that he had 2 officers, 15 mariners and 15 passengers and had had no illness aboard. They had touched at no intermediate ports [!] and had "spoken" only one ship, the Drummore of Leith from Marseille bound to the Isle of France [Mauritius] - out 94 days - all well. [This means that 33 people travelled non-stop for over four months on a ship measuring 30m x 8m and managed to communicate with only one ship during the entire voyage. One supposes they managed to catch rainwater.] The barque "Surry" [sic] of 363 tons left the UK on the same day and arrived in Sydney on the same day - this was sufficiently unusual for an annotation to have been made. March 31 - FORTUNE (barque), 311 tons, Lister master, from London, Hughes and Hosking, agents ; 120 casks rum, 6 casks brandy, 6 casks gin, 2 casks 2 bottles apothecaries, 20 cans oil and turpentine, 6 mill stones, 2 steam-engine boilers, 7 cast wheels, 167 pieces cast and wrought iron 50 iron pots, 52 pieces iron pipe, 6 casks 2 cases 75 bundles 224 bags ironmongery, 20 barrels vinegar, 68 casks beer, 26 jars herrings 16 casks blacking, 50 casks pork. 42 casks and 50 tons salt, 60 pockets hops, 70 boxes window glass, 11 casks 2 crates earthenware, 20 bundles sacks, 2 bales canvas, 5 bales woollens, 2 cases saddlery, 6 bales blankets 30 cases glassware, 15 cases 3 casks sundries Hughes and Hosking ; 6 cases 1 cask Epsom salts, 2 casks cream tartar, 4 casks brimstone, 1 cask soda, 5 cases magnesia, 4 casks yellow ochre, 5 casks glue, 26 casks painters' colours, 4 casks pipeclay, 8 casks Bath bricks, 20 casks whiting, 5 casks rotten stone, 1 carriage, 2 gigs, 1 case hats, 3 cases millinery, 19 casks earthenware 5 cases glass, 1 case stationery, 1 cask signals, 1 cask paints, 20 hogsheads porter, 6 casks ale, 20 barrels porks. 20 cases oil-man's stores, 18 sheets milled lead, 411 bars 56 56[sic] bolts 5 bundles iron, 4 bags coffee 2 carotels currants, 4 casks figs, 6 bags pimento, 310 deals, Captain Lister ; 12 cases felt, A. Fotheringham ; 4 cases oil, 20 jugs oil and turpentine, 1 cask colours, 1 cask varnish 2 casks salt, 39 cases 19 casks 2 bales 3 crates 3 pockets 1 bundle British goods, Campbell and Co.; 7 bales slops, 6 cases stuffs, 4 bales cottons, 4 barrels rice, Marsden and Co. ; 1 case apparel, Captain Westmacott ; 1 case apparel, Major England ; 5 bags carroway seeds, 60 bags 5 casks ginger, 10 cas[e]s raisins, 1 cask sugar, 12 baskets oil, 6 casks colours, 1 cask salts. 1 sack seeds, 30 bags pepper, 8 bags pimento, 34 bags coffee, 2 casks currants, 31 bundles sarsaparilla, H. Mace; 1 case millinery, E. Manning; 4 bales blankets, 12 bales slops, 3 bales canvass; R. Campbell, jun. and Co. ; 4 cases clocks, 4 cases paper, 13 cases printing press, 1 cask ashes, 1 case printers' stone, Rev. J. Orton; 17 casks rum, 1 cask brandy, 1 cask gin, 10 casks wine. F. B. Moncur; 1 cask books, Rev. R Hill ; 10 serons barrilla, 18 kegs paints. 2 pairs smiths' bellows, 3 bundles hardware, 1 bale British goods, Order. JHL then made a round trip, apparently without his wife but with 212 sheep, to Calcutta, returning via Singapore (whence he dep. 8 August) and Batavia [Jakarta] (dep. 4 September), arriving Sydney on 17 October 1835 with no passengers but with "General merchandise, Flour etc". FORTUNE, 311 tons, Lister master, for Calcutta ; 212 sheep. 10 casks wine, 10 cases salad oil, 5 cases Epsom salts, and stores. -- FORTUNE, 311 tons, Hughes and Co. agents, Calcutta. For Calcutta, on Sunday last, the ship Fortune Captain Lister with sheep, &c.
From Singapore and Batavia, on Saturday last, having left the former port the 8th of April [= August? they had only arrived in Sydney from London at the end of March], and the latter the 4th September, the ship Fortune, Captain Lister, with merchandize. Fortune was still discharging in the harbour on 10 November 1835. 312 Tons Burthen, J. H. Lister Esq. Commander, will have early despatch, for the above port. N. B. - Advances will be made on Wools, &c shipped in the above Vessel. The ship Fortune, Captain Lister, is fast loading for London, and is announced to sail on the first proximo. For London, this morning, the barque Fortune, Captain Lister, with a cargo of Colonial produce. Passengers, Lieutenant Ben[s]on, Mrs Benson and two children, Mr. Owen Mrs. Leach, Mrs. Lister, child, and servant. Mrs. Wright and four children, Mr. and Mrs. Cornish, and four children, Mr. O'Byrne, Mr. Barnes, Mr Jones, Mr. Bullock, and Mr. Callaghan. FORTUNE, 311 tons, Lister, master, for London; 293 bales wool, 20 casks and 117 ox and cow hides, 2 tons hoofs, 2 tons bark, 62 pieces cedar, 225 casks black oil, 718 bundles 5 baskets whalebone. 1 cask seal skins, 4 cases curiosities, 3 catties tea 26 casks wine, and stores. VESSELS ENTERED INWARD AT THE CUSTOMS HOUSE, June 25. ... the Fortune, from Sydney. CLEARED OUTWARD WITH CARGO. The Fortune, for Sydney. DEAL, Sept 6. -The Fortune, for Sydney, lost an anchor and has been again supplied. It has blown strong throughout the day from S.W. to W.S.W. So, after a stormy start, the Fortune departed England on 11 September 1836 and arrived in Sydney on 19 January 1837. (The Wave under Captain Goldsmith arrived within one day of the Fortune in both Hobart Town and Sydney.) Susanna is noted as being on board, but the (certainly unreliable) record does not show any children upon arrival. 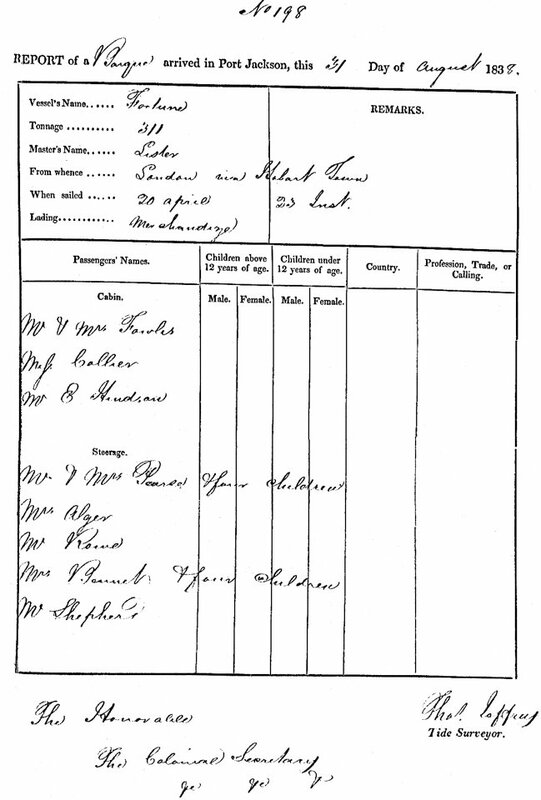 The Arrival report shows only Mrs Lister and a Mr Wm Bacon as cabin passengers and three steerage passengers. Certainly Harry must have been aboard (and there is a "child" upon departure), because Mr Fowles says he had "crossed the line" (i.e. the equator) three times before his death. There is a note to the effect that the Fortune and another ship which arrived from Boston the same day carried "20,000 gallons of rum between them". From London via Hobart Town, on Thursday last the barque Wave, Captain Goldsmith, with merchandize. Passengers, John Meabourne, Esq., Mr. Geo Hay, Mr. James Dalgli[s]h, Mrs Dalglish, Mr. Alexander M'Kenzie, Mr. John M'Kenzie, Mr. William Arnold, Robert David, James and Mary Lennox, James and Mary Dalziel, and William Birch. From London same day, whence she sailed 11th September, the barque Fortune, Captain Lister, with merchandize. Passengers, Mrs. Lister, Mr. William Bacon, Mr. Robert Walker, Mr. John O'Bourne, and Mr. Joseph Clarke. 3 RAMS of the pure new Leicester or Dishley Breed, just landed from the Ship Fortune, Captain Lister, from London. To be seen at Messrs. Hughes & Hosking's stables, Albion Mills till the day of sale, when they will be exhibited at the Auction Mart. These animals are quite a curiosity in New South Wales, and are the foundation of fortune, to any person who may purchase them. The Dishley Rams have been exhibited, weighing the extraordinary weight of 230 lbs. each (live weight) ; and at the present high price of mutton (6d per lb. ), it would be as well for Breeders to try a separate Flock with these large carcased Sheep, especially as they yield a fleece of seven or eight pounds of Wool. TERMS - Cash. They belong to the Captain, who is returning to England, and who will produce the most satisfactory certificates as to the purity of blood, &c. &c. &c.
On 24 Feb 1837, the Fortune is one of 48 ocean-going vessels in Sydney Harbour and is lying at the Hughes & Co. wharf, "loading for London". On the return voyage, they departed Sydney on 27 May 1837 carrying "colonial produce", arriving in London on 9 October 1837, apparently after making a stop at Ascension Island in the middle of the Atlantic. PASSENGERS BY THE FOLLOWING VESSELS. - Fortune, for London � Cabin, Mrs. Lister and child, and Mrs. Boatright. Steerage, Mr. Forrister, wife, and two children, Mr. John Staunton, Mr. Connolly, Mr. T. Peagle, Mr. Conrad Knowles, Mrs. Jones and child, Mrs. Ashton, Mrs. Baker and Child, Mr. M. O'Brien, Mr. P. O'Brian, Mr. M. Murphy, Mr. Peters and wife. - For London, on Saturday last, the ship Fortune, Captain Lister, with Colonial produce. The British Sovereign arrived in England the 5th October, the Kilmaurs, Thompson, master ; the Bolina, Ewing, master, on the 8th, and the Fortune, Lister, on the 9th. EAST INDIA SHIPPING. The Fortune, from New South Wales, has arrived off Portsmouth, sailed the 28th of May; and from Ascension the 29th of August. On the Listers' last intercontinental trip in 1838, a passenger, Joseph Fowles, wrote a detailed diary entitled Journal of a Voyage from London to Sydney, 1838, which gives us fascinating insights into shipboard life. Two-year-old Harry Lister died of a fever near Tristan da Cunha in the South Atlantic Ocean and was buried at sea. The voyage began on 5 April 1838 in London, and ended in Sydney on 31 August of the same year - over four-and-a-half months in all, with only one stop, in the Cape Verde Islands. See the Arrivals Report for Port Jackson (Sydney Harbour) - which is not exactly an exhaustive list of those on board. Vessels reported inwards from the 21st August to the 27th August 1838, inclusive. August 22.- Fortune, (bark,) 311 tons, J. H. Lister, master, from London, bound to Sydney. Put in to land passengers. Vessels cleared outwards from the 21st August to the 27th August 1838, inclusive. August 22. - Fortune, (bark,) 312 tons, J. H. Lister, master, for Sydney, with the whole of her import cargo. The Lister family settled in Macquarie Place, Sydney (33°51'46.66"S, 151°12'36.35"E) during September 1838. During 1838 and 1839 J. H. Lister rented a "commodious house" in Macquarie Place just behind Circular Quay; the house was owned by Mrs Reiby, after whom the nearby Reiby Place is named, but he had left that abode by January 1840. Nevertheless, he continued to conduct business in the area and in 1942 his youngest child was born in Macquarie Place according to a notice in the SMH. Two of the older children, Sarah and Elizabeth, seem to have been still living in Hereford under their Aunt Mary's supervision as late as the 1841 census - see story of the Pymble family below - and must have travelled to Sydney at a later date. The Captain set up a shipping agency and store in Macquarie Place, which is close by Sydney Cove (Circular Quay). He advertised his ship for sale and the Fortune departed Sydney on 27 December 1838 under Capt. Norris for "sperm fishery". THE well known fast-sailing Barque "FORTUNE", 311 Tons Register. For particulars, apply on board to CAPT. JOHN H. LISTER. His initial stock in trade would have been the goods he had brought with him from London on his last voyage. September 3 - FORTUNE (barque,) 311 tons, Lister, master, from London, J. H. Lister, agent; 1 carriage, 2 cases apparel, 4 pianoforte, 6 casks shoemakers' lasts, 2 casks cloogs and pattens, 10 bales shirts, 2 cases liquorice, 2 cases annatto, 1 bale wool[l]en cloths, 1 bale fustians, 1 bale cotton tick, 2 bales shirtings, 1 case cottons, 1 case counterpanes, 2 cases twine, 1 case books, 24 bales woolbagging, 1 billiard table, 42 cases pickles and sauces, 2 bales sacking, 3 bales sacks, 1 cask trees, 20 casks bottled beer, 14 casks bottled ale, Montefiores, Breillat and Co. ; 30 hogsheads 3[?] barrels ale, 8 trunks boots and shoes, Lamb and Parbury ; 2 bales woollens, 2 cases cotton hosiery, 1 bale woollen cloths, 4 cases assorted stuffs, 1 case lace, 1 bale shirts, 1 case printed muslins, 1 case shawls, 2 cases bandannes, 1 case velvets, 1 case blonds and silks, 5 cases millinery and haberdashery, 12 bales cottons, A. Oliver; 20 casks corks, A. B. Spark; 1 case table covers, 2 cases lamps, 11 cases plaster figures, 1 case shoes, 1 case cabinetware, 1 case engravings, 3 cases pedestals, 5 packages furniture, W. H. Tyrer ; 1 case sealing-wax, G. Evans ; 1 box, L. Barnett ; 1 box, Miss Douglass ; 1 case O. Ottley ; 1 carriage, G. Weller ; 2 cases books, W. Trusted ; 1 box books, Right Reverend Lord Bishop of Australia ; 1 box apparel, T. Lister ; 2 casks turpentine, 2 casks putty, 2 casks Flanders brick, 1 cask boiled oil, 2 cans copal varnish, 2 hogsheads linseed oil, 1 cask basket salt, 1 cask soda, 1 cask chalk, 1 cask bees' wax, 1 cask soft soap, 3 cases mustard, 2 cans varnish, 4 trunks shoes, 1 sack seeds, 1 case window glass, 4 cases clocks, 1 case playing cards, 1 case jewellery, 5 sheets lead, 15 casks ironmongery, Marlyn and Combes ; 10 cases plate-glass, 1 case cutlery, W. Walker and Co. ; 5 cases 1 cask saddlery, J. Jones ; 2 cases books, J. M'Kenny ; 5[?] hogsheads stout, S. A. Donaldson; 4 cases clocks, 1 case combs, 1 case glass, 6 casks toys, T. Smith; 5[?] barrels pork, 7[?] firkins butter, 40 hogsheads 40 barrels ale, 3 casks glassware, 5 cases lace, Willis, Sandeman and Co.; 75 hogsheads porter, 25 boxes soap, 130 packages oilmans' stores, 8 hogsheads beer, 2 bales sailcloth, 4 quarter-casks 33 cases wine, 50 casks bottled beer, 19 casks earthenware, 3 cases glass, 1 case jewellery, 8 casks blacking, 40 oars, 21 cases mustard, 1 gig, 3 cases apothecary, J. H. Lister ; 4 hogsheads beer, 2 bales, 1 cask, 1 bottle, Sir J. Jamison ; 20 casks varnish, 30 barrels tar and rosin, 20 bottles oil, 10 tins turpentine, 30 kegs lead, 16 casks blacking, 1 case plate, 24 hogsheads brandy, 10 puncheons 1[?] hogsheads rum, 1 cask plants, 20 barrels anchovies, 20 half-chests olive oil, 2 cases liquorice, Order. One Ships' Hearth and Cabin Stove. The brig Speculator has come round to the Dock Yard to take in her water preparatory to her sailing for India via Port Phillip and South Australia. She has lately exchanged owner, Captain Lister having purchased her from Mr. F. Girrard. To supplement the income provided by his small maritime agency in Sydney, Lister repaired and refitted ships returning from extended whaling expeditions in the southern seas. Although business was plentiful with either occupation, prompt cash payments for accounts rendered became an increasingly rare thing. Most of the colony was living on extended credit and promissory notes. To see his family survive, Captain Lister soon found himself unwillingly forced into a similar situation. On 24 September 1840, Thomas Sydney Lister (the Listers' sixth child and the author's great-grandfather) was born and was baptized by Rev. William Cowper on 20 October 1840 in St Philip's, Sydney. Clare Stapleton has provided research into the multiplicity of real estate transactions involving Captain Lister, all unfortunately destined to lead nowhere in the end. Around this time the Listers purchased lot 36 of the Macarthur Pyrmont estate. They paid 217 pounds and 17 shillings, with yearly payments of 19 pounds and 12 shillings. They would later lose this land back to the vendors when Lister went bankrupt. That same year the Listers sold a five-and-a-half acre parcel of land at Bulamaning on the Cooks River Road to F. Petersson and his wife [NSW Lands Dept., 1840, Vol T, p 471, Lease and Release]. They also sold to his partner Francis Mitchell and his wife land at Petersham and Sussex Street Sydney [NSW Lands Dept., 1840, Vol V, p 228 Mortgage]. These sales may have been to raise his share of the cost of the Darling Harbour property. The Fortune was sold to Mr Sweeting in late 1841 and continued to operate under several different captains. She was sold in 1844 and Captain Williams became the owner. The Fortune was decommissioned in 1845. Also in 1841 the Listers sold two perches of land at Petersham on the Cooks River Road to Jabez Handley [NSW Lands Dept., 18411, Vol X, p 481 Lease and Release]. The Listers also sold Petersham lots 31 to 34 to Richard Cooper [NSW Lands Dept., 1841, Vol X, p 916 Lease and Release]. On 26 June 1842, Frederick Joseph Lister (the seventh and last child) was born in Macquarie Place. Captain Lister appears to have been successfully making his way in the world. He was of sufficient note that he was asked to endorse a candidate, Mr F. Wilson, for the Brisbane ward [SMH, October 17, 1842]. 3.5 acres at St Peters/Newtown Valued at: £150-0-0. This property was in Reiby Lane which now runs off Station Street, Newtown. The family was living at 9 Domain Terrace, Sydney, the lane at the rear of what is now the Mitchell Library. At the Lister's house the bailiff found: in the Front Parlour, carpet & rug, fire irons, 2 mantle lights, thermometer, caddy, a few shells, work box, card table, five pictures, haversack, 15 bound books, 2 cane chairs and one painted, 3 decanters and 12 tumblers, 18 wineglasses, plated liquor stand, muslin window curtains and silver hunting watch. In another room were "two dial [=deal?] boxes". His debts totaled £2369-9-3 but he also had considerable assets. William James Lemon was appointed Trustee and the assets were sold. The land the Listers had sold the previous year to Giviney, and in which they still had an interest was sold in one transaction to Duncan Dunnbar [Parish of Petersham parcel of 4 acres, 2 rods, and 1 perch, Newtown lot nos. 28, 25, 24, 21, 20, 17, 27, 26, 23, 22, 19, 18, noted on plan. NSW Lands Dept., 1843, Vol 3, p 846 Conveyance]. In another transaction a 3 acre, 2 rod, 32 perch parcel on the Cooks River Road at Bullamaning was sold to Felix Wilson [NSW Lands Dept., 1843, Vol 5, p 637 Conveyance]. In effect Lister liquidated his assets and paid his debts and he received a certificate of clearance on 28 June 1843. This did not mean that he was totally out of the woods but the pressing debts had been paid. Indeed the Listers still had considerable property left at Newtown and on the North Shore. Soon after Lister was declared bankrupt Sam Peek also filed for bankruptcy. Neither Sam Peek nor John Lister seemed devastated by going bankrupt. Indeed some of the most prominent men in Sydney "went under" during the depression of the 1840s. 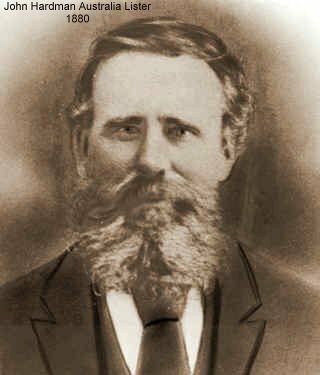 Sam Peek went on to become one of the wealthiest merchants of Sydney and was involved with the Bathurst Copper Mining Company in 1851. Sam Peek had many friends and business acquaintances including one Edward Hammond Hargraves who will re-enter the story later. Whatever the sequence of events, John H. Lister of Sydney is credited with the construction in 1843 of Rosalind, a single-masted wooden cutter of 9 tons ("& 1639/3500ths"), measuring 29'8" x 8'6" x 5'2", reported "lost at NZ" at some unspecified time after June 1847. JHL was now determined to return to a life at sea, the career that had previously proved a prosperous one. On 7 February 1844 the Sydney Herald carried a notice that "Captain Lister of the Perseverance" was "leaving for Moreton Bay with supplies and four passengers". The two-masted wooden schooner Perseverance of 45 tons ["& 288/3500ths"], measuring 50'4" x 15'0" x 9'0", built in 1838 by Francis McCallum, Supply Mills, Launceston, had a single deck and a square stern. [One report - which needs checking (AO P 198)- says she had arrived in Sydney on 22nd December 1838, having sailed from Mauritius as a convict ship under Master Corkhill.] The shipping registers in the Mitchell Library indicate the Perseverance arrived in Sydney for the last time from Launceston on 19/1/1843. A replica of the ship was at Old Sydney Town near Gosford NSW. JHL became the registered owner in 1844 (ref. 4/1844). On 8 February 1844, Lister captained the Perseverance to Moreton Bay (Brisbane), carrying a valuable cargo of wheat. John Lister Junior accompanied him as a crew member while there were "Passengers - Mr. and Mrs. Hickman, and two children and two in the steerage". [Sydney Morning Herald, Friday, 9 Feb 1844, p. 2]. It was Tuesday 13 February when Lister tried to negotiate the passage to Moreton Bay, between Moreton and North Stradbroke Islands (27°22'53.43"S, 153°26'23.78"E). The Sydney papers carried the story. "NEWS FROM THE INTERIOR. (From our various Correspondents.) MORTON BAY. February 22,- No doubt you have ere this, heard of the total loss of the schooner Perseverance Captain Lister, on the bar at the entrance to this place, but you may not have got full particulars of this unfortunate occurrence. I have availed myself of the steamer leaving, to give you a correct account, furnished to me by Mr Powers, who was an eyewitness to the accident, he being at the pilot station at Amity Point at the time. The Perseverance hove in sight of the Flag-staff on Tuesday, the 13th instant, the wind blowing strong from the south east, causing heavy sea upon the bar, particularly as it had been blowing from that quarter for a week previous; as the pilot could not get outside with his boat, she stood out to sea again towards evening. The next morning at 8 am, she was seen standing in for the sand heads on Moreton Island, apparently running for the old channel, which had been some time filled up, so as to make it impossible for a vessel to run over that part of the bar; the flag was hoisted half mast at the pilot station for her to stand off to sea, which she did. Next morning (Thursday), she was again seen standing in toward the shoal water; the pilot, Hexton, then made an attempt to reach her, but was compelled to return to the beach, his boat being nearly swamped with the tremendous sea on the bar. On his bailing out and again putting off, the schooner was seen to strike the ground, and before the pilot reached her, she had knocked away her rudder and parted her best bower cable, and was lying broadside on the beach, the seas making a fair breach over her. Whilst attempting to get the pilot's boat alongside to get the passengers and crew ashore, she unfortunately struck under the vessel's counter, broke the headfast, and was swept amongst the breakers where, in a few minutes, not a vestige of her was scarcely to be seen. The situation of the crew now became alarming, but as the flood tide made, she forged well up on the spit, and by the praiseworthy exertions of two aborigines, who came off in the pilot's boat, a line was run ashore, by which the crew reached the beach in safety. The conduct of the two blackfellows (Tommy Green and Jack the Lagger) is spoken of beyond all praise. 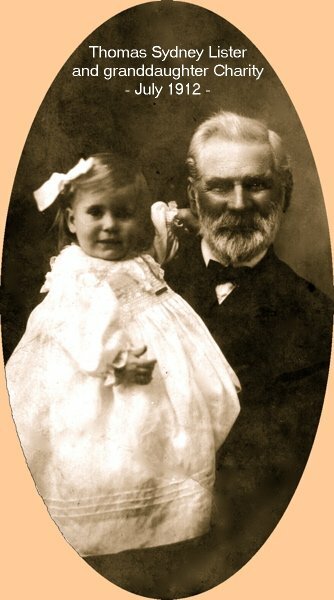 Jack with a child in each hand, one 4 and the other only 8 years [months?] old, was the first to dash through the breakers; the mother of the children (Mrs.________________) watched their progress with intense anxiety. The vessel's masts, yards, sails and rigging have been saved, with a portion of the cargo and are now lying on Moreton Island, but the vessel has gone to pieces. Captain Lister, we are sorry to hear, is not insured; he is described as being heart-broken, his little being all engulfed in the merciless ocean. In my last communication to you, I mentioned that it was a great pity vessels (particularly sailing craft) did not use the north passage in the blowing weather in preference to the south one; had the Perseverance passed Moreton Island and entered by the former channel, she would have been brought up in safety under the lee of the island in a similar manner as the master of the John&Charlotte did under precisely the same conditions. A few simple signals should also be furnished by the pilots, similar to those in use in Newcastle and Port Macquarie at present. When that officer cannot attempt the bar, he has no means of communicating with a vessel in the offing, although she may be running to certain destruction, unless it is by hoisting a flag half-mast at the signal post, which in most cases is not understood by a stranger. A few sailing directions published by the Government Gazette is all that is wanted to make the north channel at all times accessible for vessels of a draft of water under 16 feet. It gives me great pleasure to state that a subscription has been set on foot at Brisbane, by the inhabitants, in the aid of the unfortunate Captain Lister. A small cutter has gone down to fetch up the little cargo saved. Mr. George Thorne of Ipswich is the greatest sufferer amongst the consignees, he having a large quantity of goods shipped by her. The Captain and his crew travelled back to Sydney on another vessel, carrying the yards, masts and rigging from the Perseverance - all that was salvaged from the wreckage. Lister promptly refused a Government offer tending a lighthouse, feeling that such a position was beneath his dignity. Once again he was faced with bankruptcy. In April 1844 there was a sale of his assets. The auction of this estate "a notable whaling property at Pyrmont" was held at the Royal Hotel. "Apr. 17th, sale of Capt. Lister's insolvent estate." (Sydney Morning Herald, April 17, 1844). There were three sales to raise the funds necessary to clear the family�s debts. First the Listers and D. Wallace, who was probably a business partner, sold a parcel to Lister and W. J. Lemon, Trustee. This was to get the land in just Lister's name so it could be disposed of via a sale [the parcel was 1 rod 20 perches, part of a Grant in the Parish of Willoughby between Careening Cove and Neutral Harbour, NSW Lands Dept. Vol 6, p 211 Conveyance]. It appears that the land was split up for sale. One piece described as, 'part of a 2 acre, 2 rod grant in the Parish of Willoughby, NW corner lot # 3 at the junction with Neutral Bay�, was sold to Fr[ancis?] Johnson [NSW Lands Dept., 1844, Vol 6, p 534 Conveyance]. A second parcel was sold to John Marsh. This parcel was �Lots 1 to 7 Parish of Willoughby, Co. Cumberland, bounded to the east by waters of Port Jackson and Neutral Bay and to the west by Johnson� [NSW Lands Dept., 1844, Vol 7, p 69 Conveyance]. The final sale was the wreck of the ship itself. The parts salvaged and/or washed ashore at Moreton Bay were sold where they lay. The sails and other valuable equipment had been brought back to Sydney, and they too were sold [Sydney Morning Herald, Tuesday, 16 April 1844, page 3]. In January 1845, the Lister family travelled over the Blue Mountains to settle near Tarana, about 16 kilometres east of Bathurst. A welcoming committee of bushrangers held them at gunpoint, taking everything that they possessed. Even the bed sheets were stolen to bundle together a large supply of provisions just purchased. Ignoring threats by the armed men, Captain Lister paced the floor with a large carving knife they had overlooked. He promised to kill the first man who attempted to harm his wife or six children. Unable to pacify their fiery host, the bandits left with their ill-gotten gains. They left nothing behind other than the carving knife and eight broken-hearted settlers. Then the luckless Listers became friendly with James Arthur, owner of the Carrier's Arms Hotel in William Street, Bathurst. Arthur had held his publican's licence for six years and was constantly expanding his business interests. He was also involved in the Bathurst Copper Mines. [Another important merchant involved with the Bathurst Copper Mines was Captain Lister�s one-time partner Samuel Peek who had staged a business comeback that re-established him as one of the colony's wealthiest merchants. Peek was later to die in the wreck of the Dunbar at The Gap off Watson's Bay in 1857. This probable recommendation perhaps explains the immediate employment of Lister by Arthur.] In 1842, Arthur had purchased the Robin Hood and Little John Inn that stood at the summit of the notorious Rocks Hill, 20 kilometres west of Bathurst. He also owned the Wellington Inn at Guyong. In March 1846, the Lister family replaced Arthur's previous lessee in the Robin Hood and Little John Inn who was reputed to have often consumed more than his fair share of the profits. Having moved inland the Listers apparently decided to stay and sold the last of their land in Sydney. This was a set of lots at Newtown which they sold to Thomas Kendall in 1845 [Lots 35, 38, 39, 40, 8, 9, 12, 13, 16. NSW Lands Dept., 1845 Vol 9, p 576 Conveyance]. Travellers from Bathurst to Wellington crossed Evans' Plains Creek to be confronted with a tortuous 11 kilometre ascent to the inn. Along that perilous track were hundreds of huge boulders covered with green crusty scale. Each boulder was a potential vantage point where murderous bushrangers could sit, awaiting their exhausted prey. For this reason, the Robin Hood and Little John Inn had become a popular resting place for those who needed a glass of courage to complete their journey. After leaving the inn, there still remained a 12 kilometre descent towards the trackless and unsignposted forests leading to the safety of the Wellington Inn at Guyong. This area had also proven a haven for thieves and bandits and it could hold many a nasty surprise for the unwary. The Robin Hood and Little John Inn was also a place of resort for Bathurst inhabitants looking for a day trip to the country. Like many Inns it catered to the sporting crowd with races and other competitions aimed at drawing a crowd to participate, and illegally bet, on the sporting outcome. The Inn was owned by Arthur but the Listers would have bought their own supplies and catered to their clientele in whatever way they chose. In all probability Arthur would have provided some of the "beers and spirits" which was fairly normal when one man owned several Inns. One day in early summer of 1848 Captain Lister rode toward Sydney to meet his son John who was returning with a bullock team loaded with provisions destined for the Inn. They duly met and stayed at an Inn near Riverlett Hill, which had no lighting at the back. The Captain rode his horse over a cliff, which killed the horse instantly and Lister lay all night in the rain. Rescued in the morning, he must have been a very sad sight with severe bruising and lacerations, not to mention the aftereffects of a concussion [SMH, Nov. 6, 1848]. Lister was incredibly lucky to survive this mishap as falls at Hassen�s Walls were usually fatal. In late 1849 or early 1850 Lister and Arthur came to an agreement that the Listers would change inns. At the licence renewal hearings at Bathurst in April 1850, Captain Lister took the licence for the Wellington Inn, also owned by James Arthur. This inn was previously known as Charles Booth's "Kyongs". When Charley Booth lost his licence it may have operated illegally. It was about this time used as an outstation for shepherds. Old Charley Booth did not leave the district and died in 1851 aged 68 and was buried at Byng. George Luck leased the Inn in 1838 and was publican of the now re-named Wellington Inn until 1840. As was normal for the time, licensees changed rapidly as people sought out new opportunities. The licensees at the Wellington were, John Declout (1842-44), Michael McCabe (1844-46), James Toy (1847), James Prior Hull (1848), and another publican (1849). The Sydney Morning Herald of 24 July 1850 carried this story. Lister H. (Capt.) formerly commander of the barque "Fortune" died 12-7-1850 by the upsetting of his gig at Bathurst leaving a wife and 6 children. John Hardman Lister was buried in the Church of England section of Bathurst cemetery on 15 July 1850. A year later, the goldrush had begun. 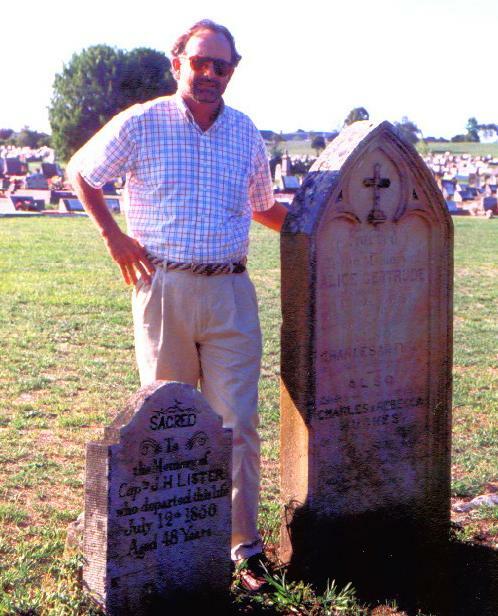 The author standing behind JHL's headstone. The grave is quite easy to find, near the main gate of Bathurst cemetery in a side road off the Orange road on the outskirts of Bathurst, opposite the golf clubhouse. Capt. Lister's headstone and one other stand alone about 70 m from the gate at about 1-2 o'clock. The headstone on the right marks the grave of Alice Gertrude Arthur (1858-1861), JHL's grand-daughter (daughter of his daughter Elizabeth). After these traumatic events, Susannah ran the Wellington Inn at Guyong with the help of her sons. Her husband's licence was transferred to her on 5 Sep 1850 and was renewed in April 1851. Behind the main building was a stable and well, where the horses for the Bathurst-Wellington mail coach were changed. In front of the premises was a small tributary of Lewis Ponds Creek. Before long, Lewis Ponds Creek would play a major part in the life of John Lister Junior. It was to be a part that would see bad luck and disappointment handed down from father to son. In fact, bad luck and disappointment would continue to plague John Lister Junior until the day he died! That story is told in the section on gold. See also John Rule's The Cradle of a Nation, from which much of the above text is borrowed. The last of the land that the Listers had acquired, the eight hundred acres at Fish Creek, was sold in 1857. John Hardman Australia Lister sold the land to G. Chew [800 ac Parish of Yorkstone, Co. Roxbourgh, NSW Lands Dept., 1857, Vol 48, p 762]. Susanna (the author's great-great-grandmother - see likeness at right), daughter of Philip Pymble (1774 - 1832) "of Llanfrother Manor, Ross-on-Wye, Herefordshire" and Susannah White (c. 1771-1851), was born probably early in 1806 and was baptised on 29 April 1806 at St Dubricius (St. Dyfrig) Church of England in Hentland, Herefordshire (51°56'2.86"N, 2°39'57.79"W). She died early in November 1889 (probably 2 Nov - the death certificate is unclear) "at Cargo" NSW of "senile decay" and "paralysis" at the age of 83, after 51 years in Australia. It is thought she died at "Woodstock", the property of her son Thomas, on the Cargo road near Orange. See Margaret Hardwick's story of her life. 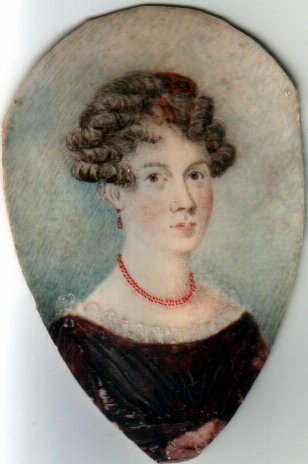 Sarah b. circa 1821. In 1841, Sarah Pymble (20, of independent means) was staying at the mill in Fownhope, where the miller [sic!] was Ann Husbands (20). At the 1851 census, said Sarah Pymble was unmarried, 30 years old, and living with her mother, 78-year-old retired grocer Susannah of Hoarwithy, and an aunt. Mother Susannah seems to have died in the last quarter of that same year, 1851, though her monumental inscription says she was 81. Hentland derives from the Welsh hen llan - the "Old Church". Hentland is the parish for Llanfrother, and also includes the village of Hoarwithy. Llanfrother ("Church of the Brothers" - perhaps a mixture of Welsh "llan" and Latin "frater"? - 51°57'17.54"N, 2°40'4.00"W), now a farm, was a mediaeval township and is the most likely site of a 6th century British monastery. The Llanfrother farm, variously described as of 286 or 390 acres, employing 6-8 men (a considerable enterprise for the time and place) was subsequently taken over by Thomas's son, Thomas Philip, b. 1849, m. (2Q 1880) Emma Wheeler, apparently childless. The latter Thomas (Philip) was still at Llanfrother in 1901 and d. 1912 aged 62. His widow Emma was burned to death along with her sister Miss Ellen Wheeler in Jan 1937 in their country cottage, Underhill, Hoarwithy, as reported in The Times, 4 Jan 1937. They were both in their 90s. Ellen was in the habit of keeping a paraffin light burning all night. Emma was unwell and evidently unable to react. The family information is presented in tabular form on the separate Pymble page, along with details of other generations. Susanna Pymble Lister's links to Hentland did not end when she married: she returned there in May 1828 for the birth of her first child, John Hardman Australia Lister, who was to discover gold in NSW in 1851. The 1841 census shows a Susan Lister (probably Susannah Sarah, known as Sarah), 11, at a boarding school in Packers Lane, Hereford, and an Elizabeth Lister, 8, in the household of Charles Hook, cooper, and his wife Mary (née Pymble) in Broad St., Hereford. This Mary must be Susanna's elder sister (chr. Hentland 26 Feb 1804, d. 1845, only four years after this census, possibly in childbirth), hence the child's aunt. There is also an Elizabeth Lister, 45, staying at an inn in Packers Lane. Captain Lister's younger sister Elizabeth would have been only 32 (and was anyway married to a man called Baynes), so this may have been the wife of a Lister relative. In any case, the coincidence of the name (the only other Lister in Herefordshire) is too strong to discount. So it seems the Listers left their older children in the care of their aunt in Hereford while they sailed the high seas. 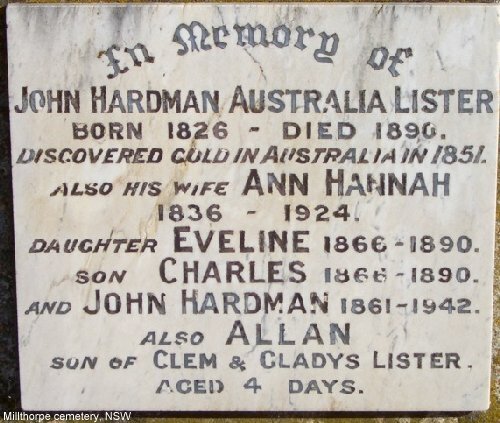 As recounted above, Susanna accompanied her husband, Captain John Hardman Lister, on at least three of his voyages between England and Australia, first visiting NSW in 1830 at the age of 24; her second child, Sarah, being born in Hobart near the end of that voyage. The family settled in Australia in 1838, initially, it seems, in Macquarie Place, Sydney, where her husband had a shipping office. They had family and friends in Sydney, particularly Susan's uncle Robert Pymble (1783-1861), who migrated as a free-settler to Australia in 1821. He was a silk weaver/merchant who received a 600-acre land grant north of Sydney in 1823 (after he physically captured a bushranger, it is said), and the suburb of Pymble was named after him. The site of Mrs Lister's Wellington Inn on the south-west bank of a branch of Lewis Ponds Creek. An artist's impression of what the inn might have looked like in 1851, superimposed on a recent photograph. Also shown are the well and stables. Edward Hargraves visited the family here on Sunday 9th February 1851 and is said to have seen gold or a gold-bearing rock on "Parson" Tom's mantelpiece. The Widow Lister's business prospered in the goldrush. She must have been a competent businesswoman, though perhaps of rather awkward character: Mr Fowles said she "paints everything in its worst colours and is determined not to enjoy anything". The roles played by Hargraves, William Tom Jr and John Lister Jr in the discovery of gold are set out elsewhere. Birthdate appears as 1826 on gravestone: surely a mistake. (His parents were married in June 1827.) Death cert. says he was 63 and in Sep 1890 he would indeed have been in his 63rd year. Elizabeth 1832/33 in Herefordshire 1. Charles Arthur (1831 - Mudgee 28 June 1866), Surveyor, on 8 Jan 1855 at Lister home, Guyong, by special licence. Brother John Lister, mother Susannah Lister, James Arthur (father of Charles) and William Tom were witnesses. 5 children, the eldest of whom, Annie Elizabeth (1856�1926), m. her cousin Arthur Sebastopol Tom, son of Wm Tom Jr and (Susanna) Sarah Lister [see above entry] and had 4 children. The grave of John Hardman Australia Lister (see photo), "Gold Discoverer", in Millthorpe cemetery, N.S.W. In retirement, they lived at 32 Day Street, Marrickville - an old Sydney suburb. This is where they were when their son Sid went off to the Great War. TSL died in May 1920. Though his circumstances were humble (for most of his life, he was basically a subsistence farmer), it seems T.S. Lister was one of Nature's gentlemen: loveable, kindly, unselfish and unambitious, willing to share his last crust with the next man. Annie ("Una") 29 Jun 1880 - 1919 Rookwood Cemetery, Sydney Died of "Spanish 'flu" post WW I.
Blayney, NSW Orange, NSW Lived at "Stanfield"
Had 5 children 27 Aug 1958 - Lived at St. Mary's.